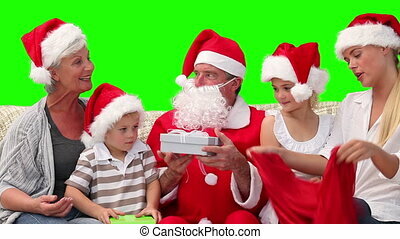 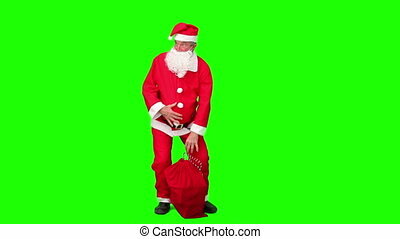 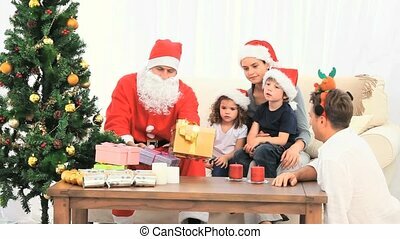 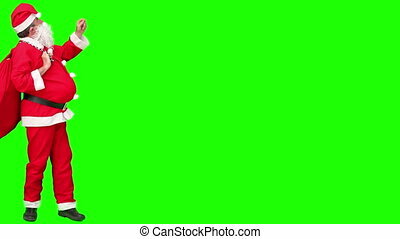 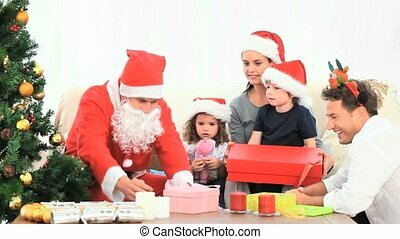 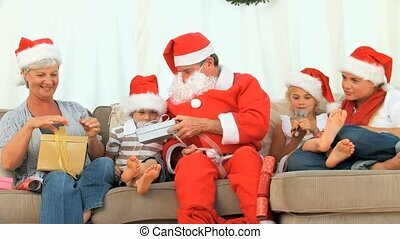 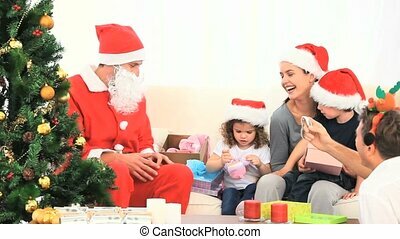 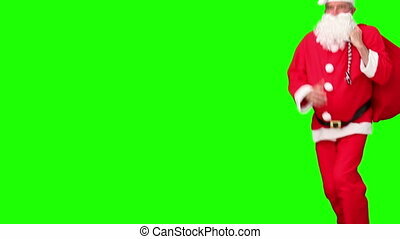 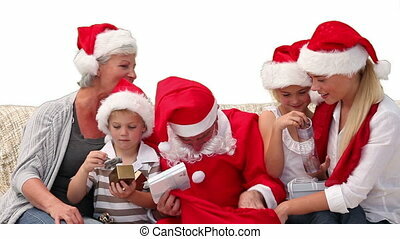 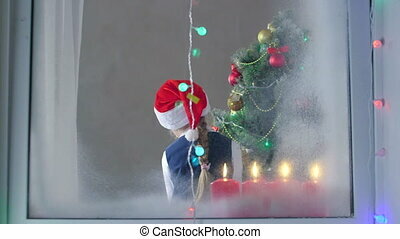 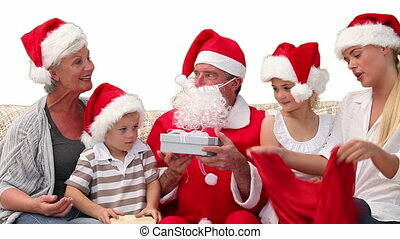 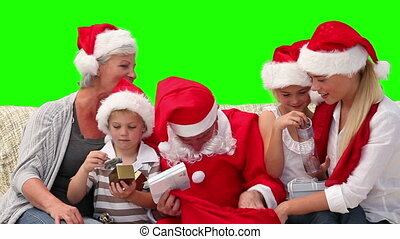 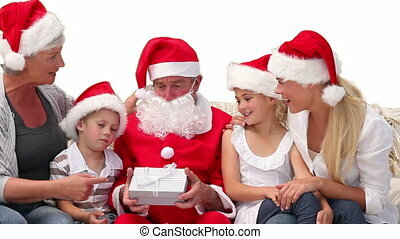 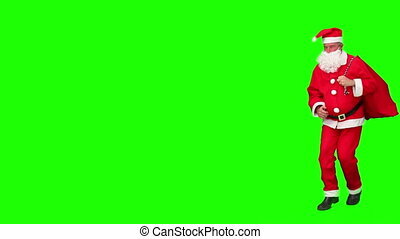 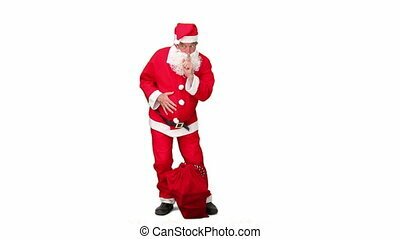 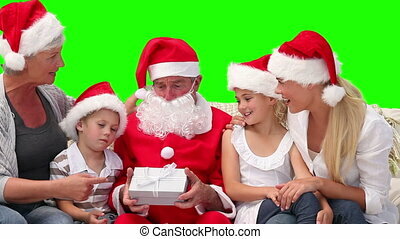 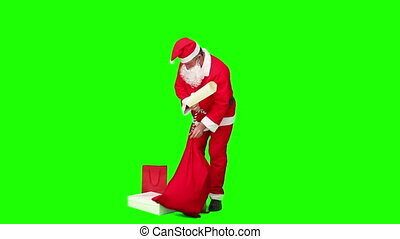 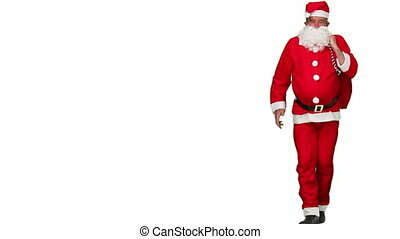 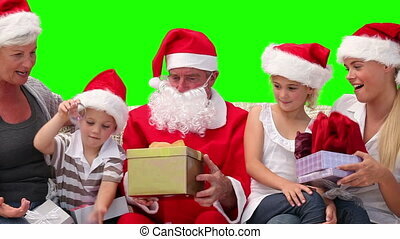 Chromakey footage of a santa claus offering gifts to a family. 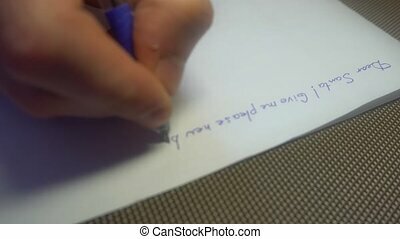 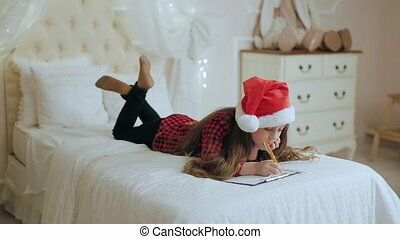 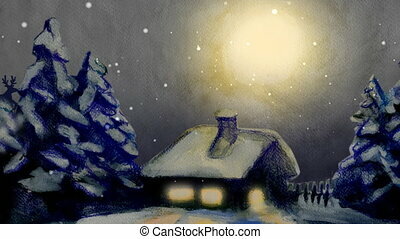 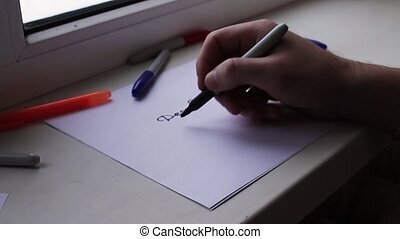 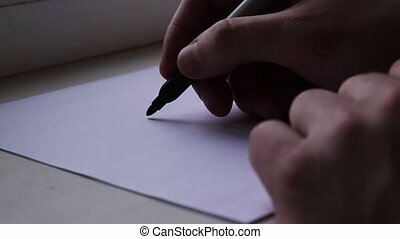 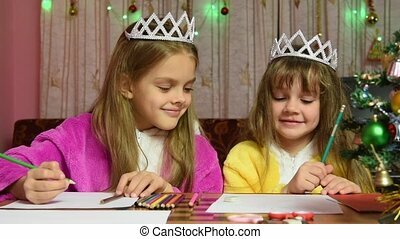 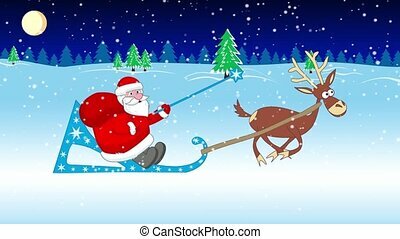 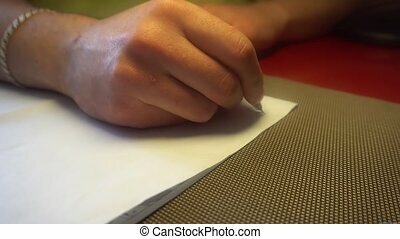 a young man writes a letter to Santa Claus. 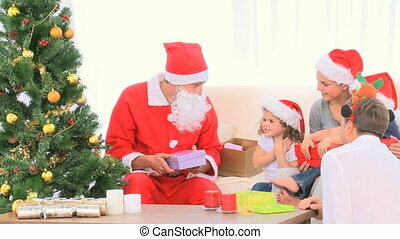 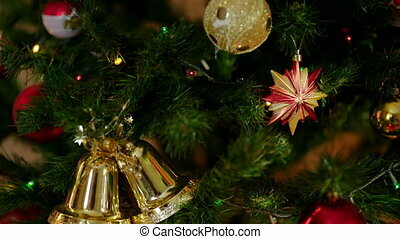 Little Santa Claus Sitting Under a Christmas Tree With Gifts.